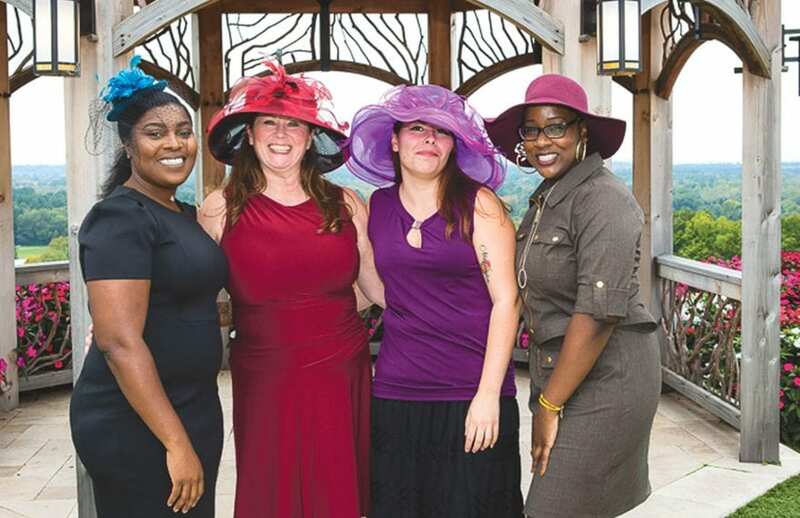 Square One’s celebrated its 13th annual Tea Party on Oct. 4. 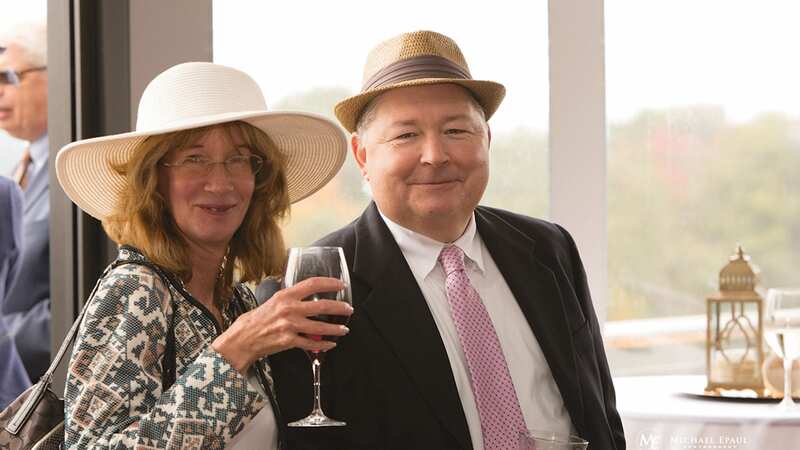 This year’s party was a vintage golf-inspired event hosted by the Starting Gate at GreatHorse in Hampden. 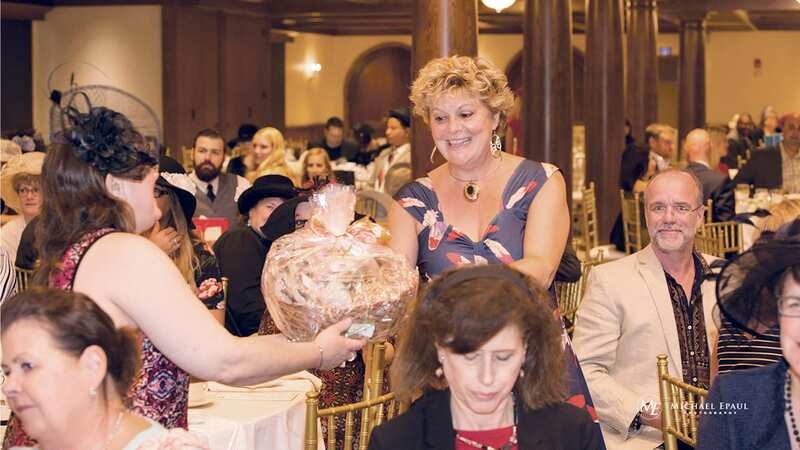 Pictured top to bottom: Lauri Doleva (left) and Kris Allard; Lynn Brown and Bill Sullivan; from left, Nina Cameron, Dawn DiStafano, Liz Lopez, and Shynel Hayes; and Jami Ouellette Morse winning a prize. 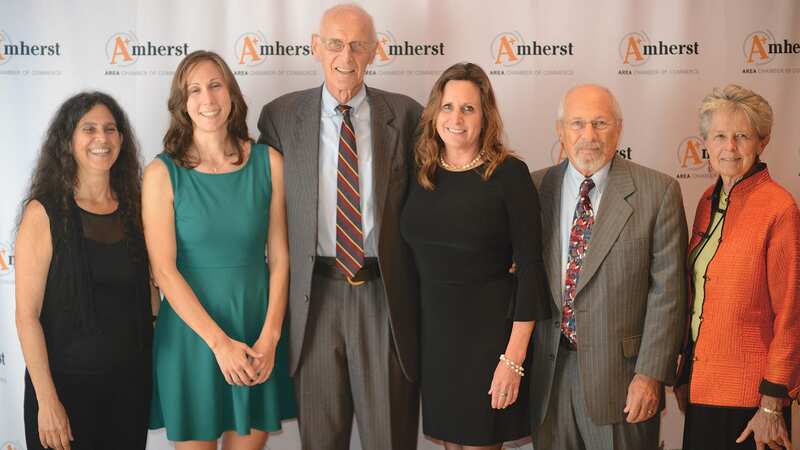 On Oct. 4, 220 guests filled the UMass Student Ballroom for the eighth annual A+ Awards presented by the Amherst Area Chamber of Commerce, recognizing leaders in the community whose work and actions bring economic and social benefit to the region. 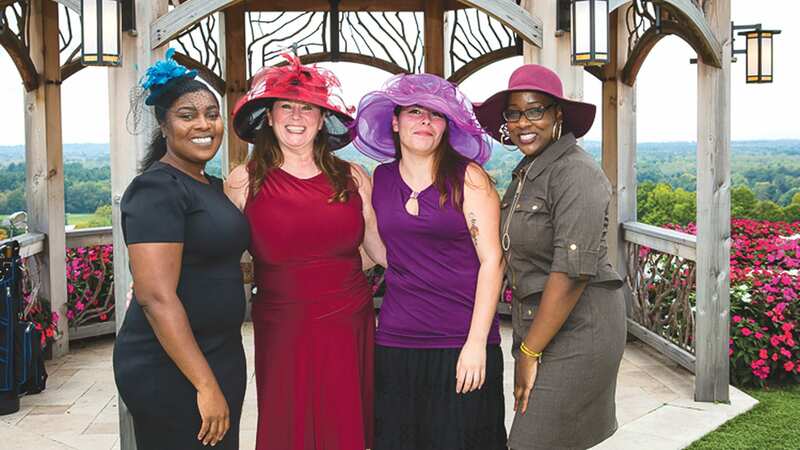 Pictured top to bottom: honorees included, from left, Catalina Arrubla of Multi-Arts, Jen Loebel-Strong of CHD’s Big Brothers Big Sisters of Hampshire County, former U.S. Rep. John Olver, Kim Alli of Greenfield Savings Bank, David Dann of Village Neighbors, and Amherst Cinema, represented by Carol Johnson. 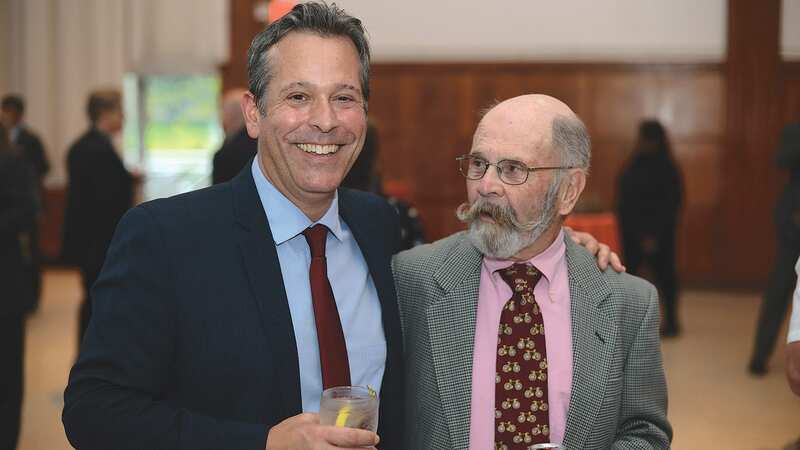 Tony Maroulis (left) and John Coull, both former Amherst Area Chamber executive directors. 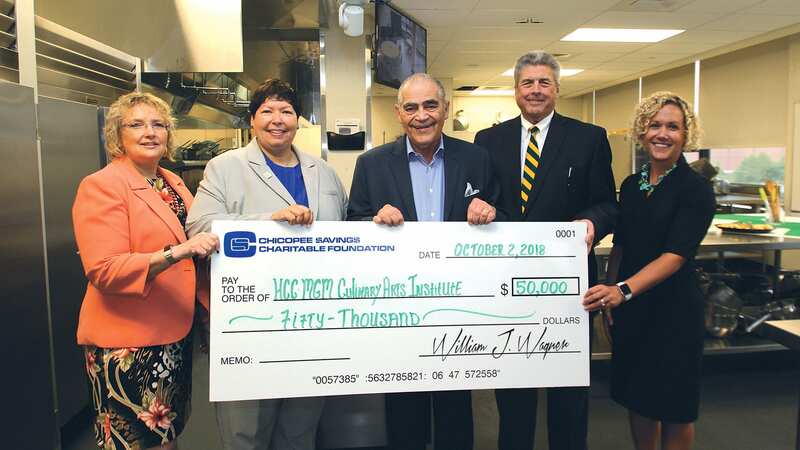 The Chicopee Savings Bank Charitable Foundation recently donated $50,000 to Holyoke Community College for the benefit of students preparing for careers in the culinary arts and hospitality industry. Bill Wagner, president of the foundation, presented an oversized check for that amount to HCC president Christina Royal and officials from the nonprofit HCC Foundation during a brief ceremony Oct. 2 at the HCC MGM Culinary Arts Institute. 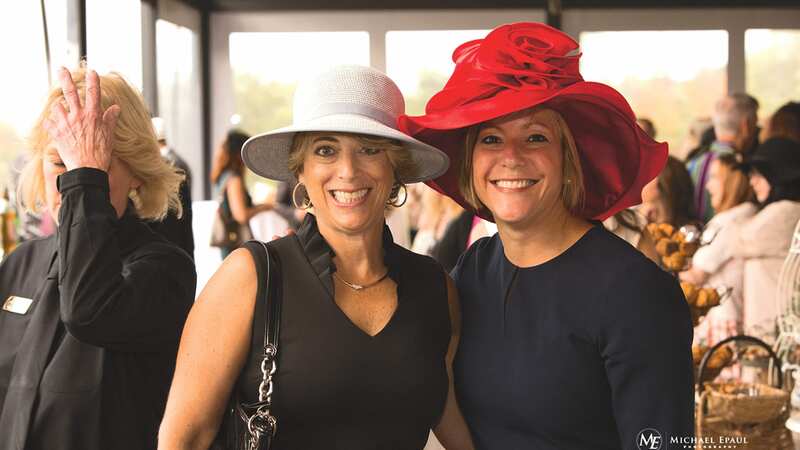 From left, Teri Szlosek, administrator and director of the Chicopee Savings Bank Charitable Foundation; Royal; Wagner; Paul Boudreau ’67, HCC Foundation board chairman; and Amanda Sbriscia, HCC vice president of Institutional Advancement and executive director of the HCC Foundation. 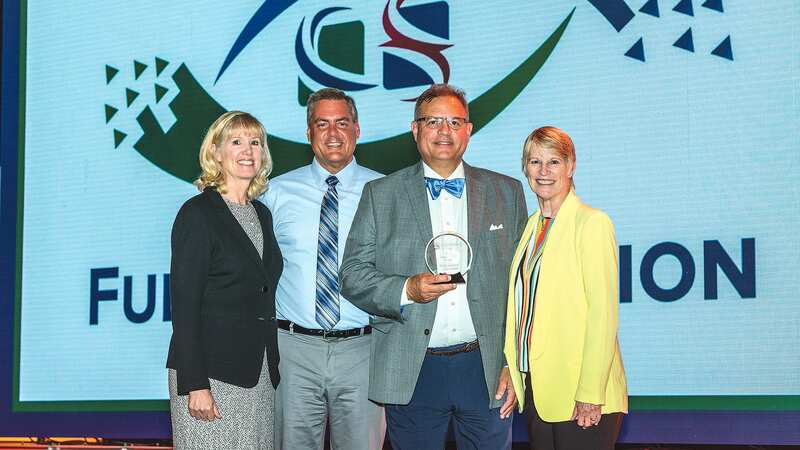 The Polish National Credit Union (PNCU) recently received the Bronze CUSO Financial Services/Sorrento Pacific Financial 2017 Impact Award at the 2018 Annual Conference in San Diego. The award is given to a financial institution that demonstrates an excellent job of building awareness through branch marketing efforts. 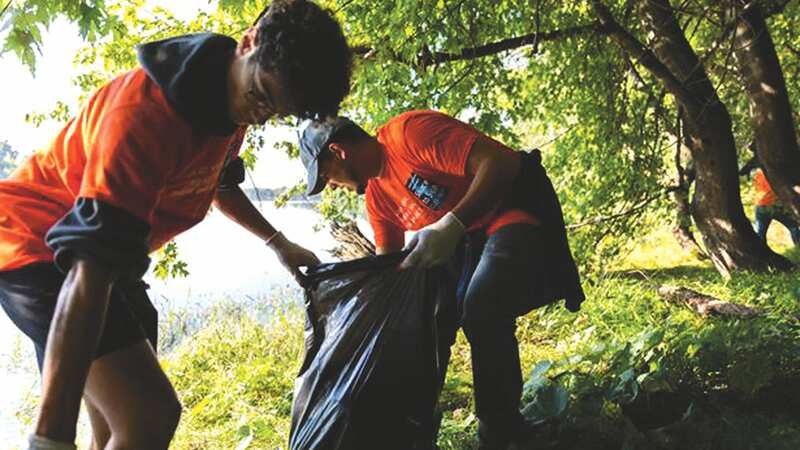 From left, Valorie Seyfert, president and CEO of CUSO Financial Services, L.P.; Kevin Kober, PNCU director of Retail; Christopher Casale, financial advisor, CUSO Financial Services, L.P.; and Amy Beattie, COO, CUSO Financial Services, L.P.